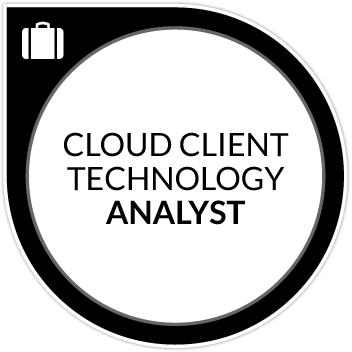 Client Technology Support roles are primarily responsible for the delivery and support of IT products and services within an organization. In order to provide optimum services and solutions, these individuals partner with business clients and work with vendors to understand user needs and provide improvement to business processes, resolve problems, and deliver technical solutions. They plan and deliver a diversity of IT services to internal and external end users. Possesses high-level competencies in communications and interaction skills with leadership, colleagues and business partners, including ability to express technical and business concepts, ideas, feelings, opinions, and conclusions orally and in writing. Listens attentively and enables effective group interactions. Identifies and acts upon opportunities for continuous improvement. Encourages prudent risk-taking, exploration of alternative approaches, and organizational learning. Demonstrates specialized technical skills that include installing, configuring, repairing, and managing various IoE devices (including personal computing devices and peripherals); delivery of Tier I, and II technical support and incident resolution; ability to work with vendors to resolve Tier III technical support issues; securing applications and data and ensuring privacy in applications and data.